Ice Raids Trump Properties in Nationwide Operation! (Los Angelas, CA) Unconfirmed Sources report that Ice has raided Trump properties in a nationwide operation! 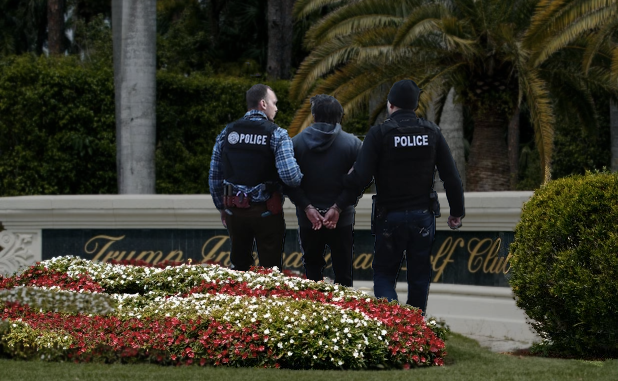 Immigration and Customs Enforcement officers raided Trump properties in search of undocumented workers after news reports suggested systematic immigration violations. Agents can see seen loading scores of individuals into ICE vehicles at the Trump International Golf Course in LA. This the first of many raids planned by ICE in an attempt to curb the demand for undocumented workers. BRITNEY SPEARS, PLEASE GO AWAY!! IRAQ WMD Final Report: Shocking Evidence Found!